Unlike many other similar programs, this tool is much cleaner and provides a lot of functionalities to manage your drivers. 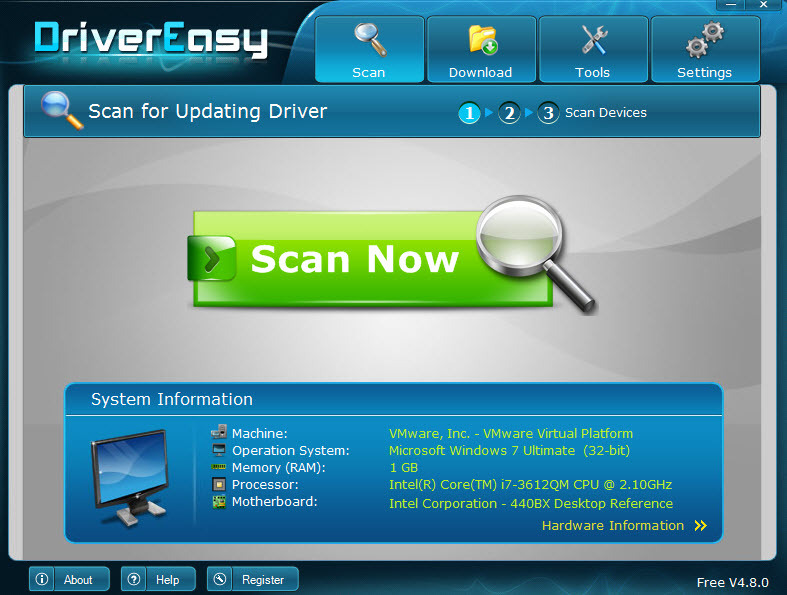 It will scan the entire computer and will display a list with all drivers. Those that have updates will be highlighted and then you can proceed to download them. 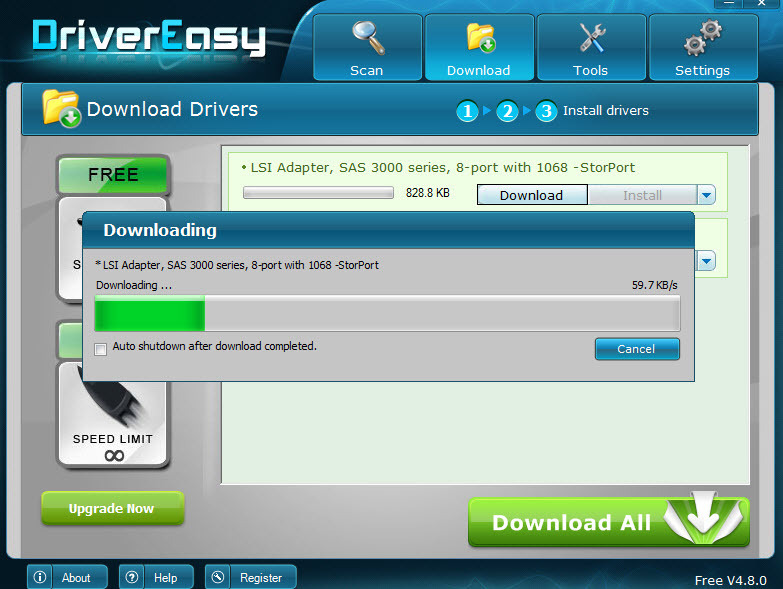 Before installing any driver, the program allows to open the folder where the driver has been downloaded and view the files. The program provides additional features such as display details about computer's hardware (CPU, memory, video card etc.) so you can search for drivers on the manufacturer's websites, if you wish. In the free version you cannot backup and restore drivers, but the program creates Windows restore points automatically. 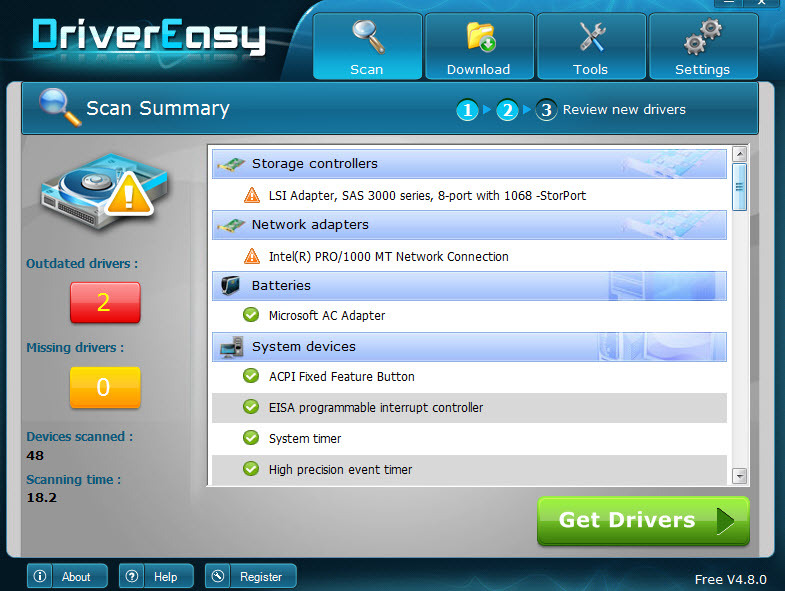 DriverEasy is available as free download for Windows 32-bit and 64-bit. 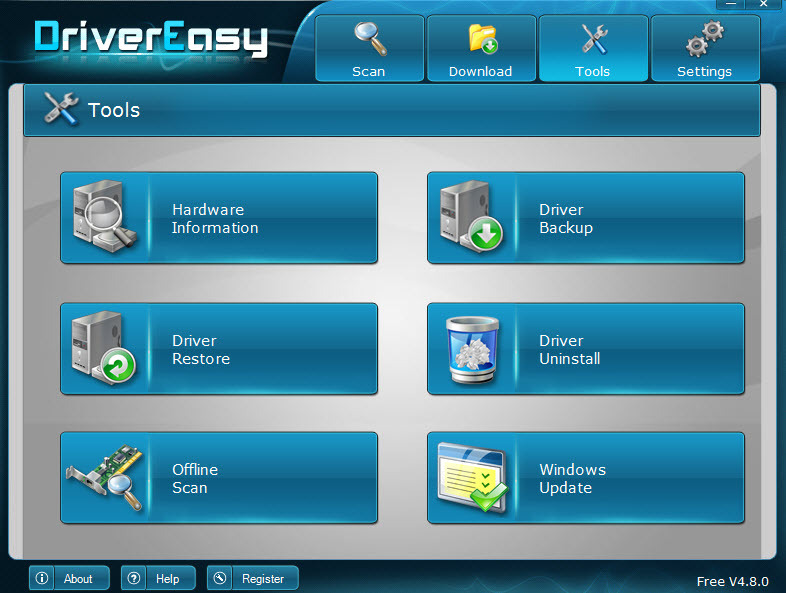 DriverEasy is 100% clean and safe to install. You can see the test results here.